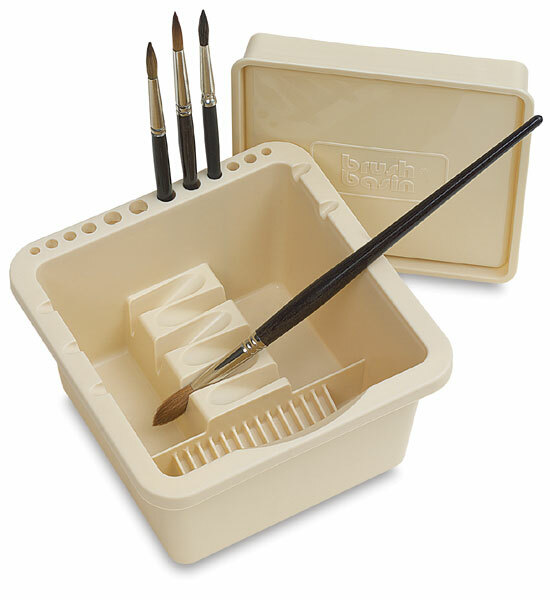 Soak, shape, store, and wipe fine brushes in durable, attractive basin. Anti-stick surface accepts any solvent. Bristles, suspended in solvent, don't bend. Grooves in bottom aid in cleaning. Air-tight lid.